On 10-13-2018 SAPD released information/video requesting the media and community’s assistance in identifying a female suspect wanted in an assault that occurred on 10/27/18 at approximately 11:00 PM, at the McDonalds located in the 1500 Block of North Bristol Street. After doing the story with numerous media outlets, Detectives received numerous tips leading them to the identity and location of the suspect wanted in this assault. 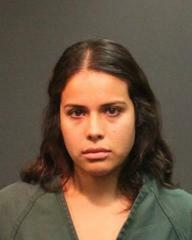 Based on the information provided Detectives were able to obtain a $15,000 arrest warrant for suspectMayra Berenice Gallo (24) of Santa Ana.